C&D Gravity Flex Expandable Skatewheel Conveyor is designed for heavy-duty rugged applications, and is ideal for loading and unloading trucks and trailers. 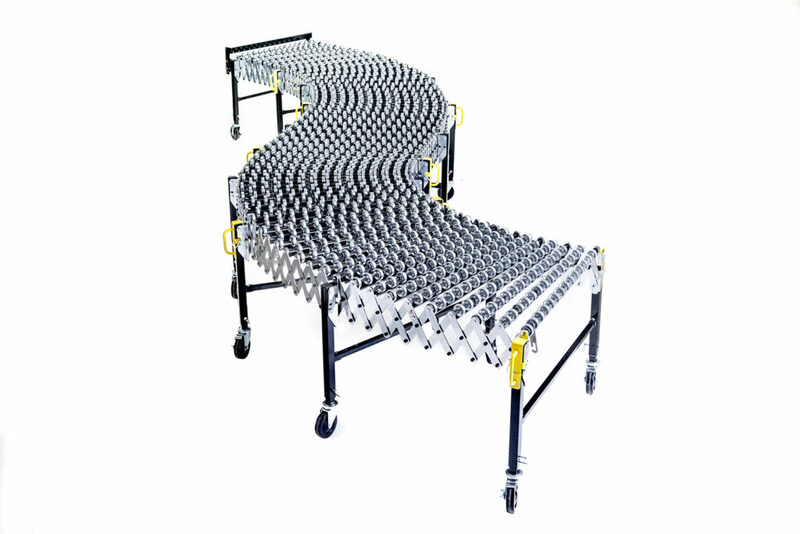 Conveyor is designed to handle loads weighing up to 400 lbs. per foot comfortably. Loads easily follow the twist and turns of the conveyor path without any pre-engineered consideration. The conveyor easily expands and compacts with little effort. Individual conveyors may be connected together using connecting brackets to create extra long conveyors. Presently in use in demanding applications in distribution centers throughout the country. For additional information on C&D Gravity Flex Skatewheel Conveyors, please call us at 1-877-355-1511 or click on the Request Information/Quote button above.